Given free roam of the Mercury patrol space, I was immediately struck by how small it seems compared with the labyrinthine passages and open areas of the other patrol zones. 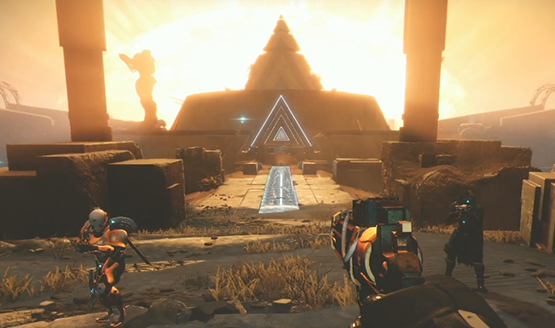 This main Mercury space is more of a hub that contains the Lighthouse and the gateway to the Infinite Forest. It also houses the massive new public event that was built specifically for this space, a multi-phase activity that transforms the space and opens up new areas to explore. Though my group didn’t discover it, there’s a way to make this event heroic as well. It has something to do with some platforms that spawn in, and causes an additional mechanic during the final boss phase. It was a lot of fun to play initially, but I hope that there is a little more variety in the activities we’ll see in the hub area, otherwise repeating this same single public event will begin to feel a lot like the limited activities on Titan. I discovered that there is a Storm Minotaur/Jump Rings public event that spawns in this space, as well as at least one Lost Sector that is apparently hidden from the map (at least while the campaign hasn’t been completed, it’s not clear if this will change once the campaign has been completed). If there are any other public events that happen, I wasn’t able to see them during my hands-on time. You can check out my hands-on gameplay of the new space and public event right. There will be a lot to do after the campaign, including forging 11 new and unique weapons, and undertaking Adventures that guide players through the Infinite Forest. The weapon forge will take players through other activities–sometimes off of Mercury–such as the Strike playlist and Crucible. These unique weapons are an amalgamation of parts, forged using Vex technology. Adventures offer the chance to navigate the Vex reality engine known as the Infinite Forest, an experience that will be different each time. My hands-on time didn’t undertake any Adventures or the weapon forge, from everything I have seen, these activities have the possibility for this to offer repeatable gameplay that is unique and different each time it is played. If you’ve been following Curse of Osiris coverage, you may have heard that the two new Strikes are the same as two of the story missions. 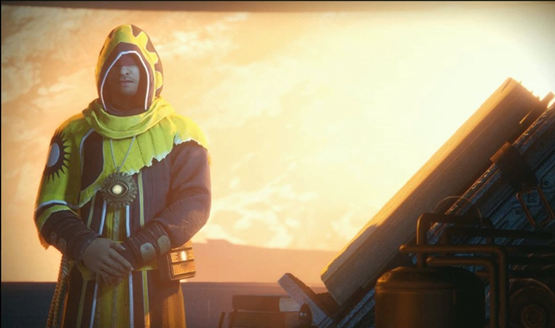 Though the concern may be there that this is somehow doubling up on content, remember that the original Destiny’s strikes were part of the campaign. The Strikes take place inside of the Infinite Forest, so there is the potential for these to be different each time they are played as well. The theme of Curse of Osiris seems to be a modular world. The activities and events will constantly feel fresh and unpredictable so instead of running the same strike paths again and again, the Infinite Forest will provide new paths, new enemies, and new experiences. It’s an attempt to keep things feeling brand new even when things are played on repeat. The Lighthouse is the centerpiece for Mercury. According to Bungie, this space holds secrets and mysteries, but we weren’t able to discover any of them during our brief hands-on time with the new DLC. For Destiny players, the content is all about replayability and the weekly ritual. It’s tough to really get a sense for how the new activities will hold up long term with only a few hours of gameplay under my belt, but it’s clear that the Curse of Osiris team wanted to find a way to bring a fresh feel to every repeated experience. They’ve succeeded in creating a stunning new space and some exciting set pieces, and I’m eager to see how that puzzle piece fits into the larger Destiny experience when it’s finally out on December 5. Destiny 2 Curse of Osiris hands-on was previewed at Bungie’s studios with travel and accommodations provided by Activision.